There is a simple motivational model called the Carrot and the Stick. It’s a metaphor. Imagine you are sitting on a wagon that is being pulled by a horse. If you want a stubborn horse to go forward, you can hit it with a stick. This is negative motivation, and it is fear of being beaten that motivates the horse. You could take a longer stick, tie a carrot to it, and put it out in front of the horse. The horse will move forward to try and get the reward. This is positive motivation. 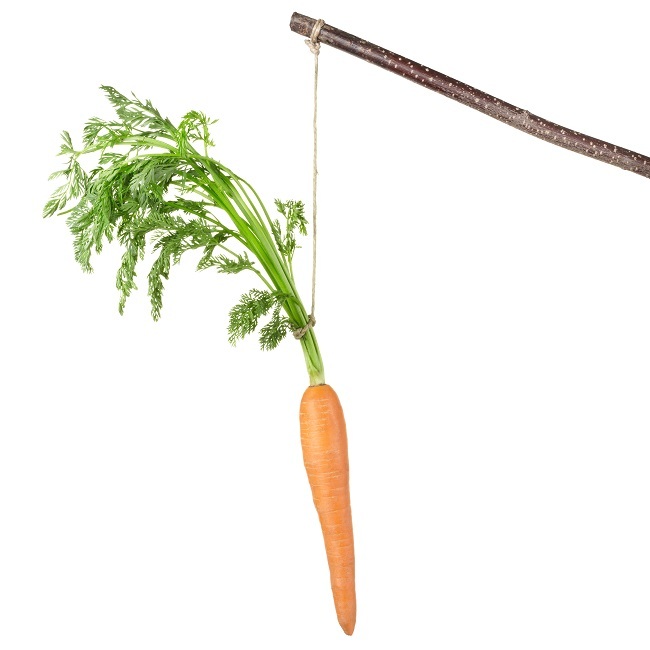 For the long term, you get better results from people by using positive motivation techniques – carrots. Supervisors’ authority that comes from a job title is positional power. As supervisors, we can do things like putting people in for certain awards (i.e., give them carrots), and we have official ways to discipline people (i.e., use a stick to motivate). Positional power is important, but it isn’t what we want to use all the time because it’s only effective when we are with or near the employee. However, when we leave the area, the employee is no longer motivated. In fact, they will probably not work hard and will see what they can get away with. Using positional authority is a last resort. On a daily basis, we want to use personal influence because it is more motivating and effective. We create personal influence by building positive relationships. Our employees will continue to work when we aren’t present if we have a relationship built on respect and trust. The main focus of the first section of the course is how to cultivate that personal influence. One of the first steps is to define the qualities and abilities of an exceptional leader. In the workshops, the list created by participants usually includes knowledgeable, compassionate, confident, creative, approachable, humble, honest, trustworthy, trusting, big-picture thinker, motivating, inspiring, constant learner, consistent, and integrity. In addition, there are two more qualities to highlight. Frontline employees always list two things right up front: listens and is fair. When we pay attention to people when they talk, it’s called active listening. When we practice active listening, we are letting people know that they are worth our time, that they are valuable. Listening with the intent to understand the other person’s point of view helps to build positive, trusting relationships. When discussing “fair,” most employees mean not showing any favoritism. It’s important to know that people usually don’t quit their jobs, they quit their bosses. As supervisors, we don’t want to run people off with a negative attitude. Turnover is expensive for an organization. The statistics vary between 50-90% of an employee’s annual salary. If at all possible, we want to keep people working for us and make them successful. As supervisors, we have an enormous influence over the people who work for us. We can create a pleasant and supportive environment that makes people want to come to work or a negative, fear-filled environment that employees resent and want to escape. We affect the quality of our employees’ lives at work and at home because people carry their dissatisfaction with work to their homes.